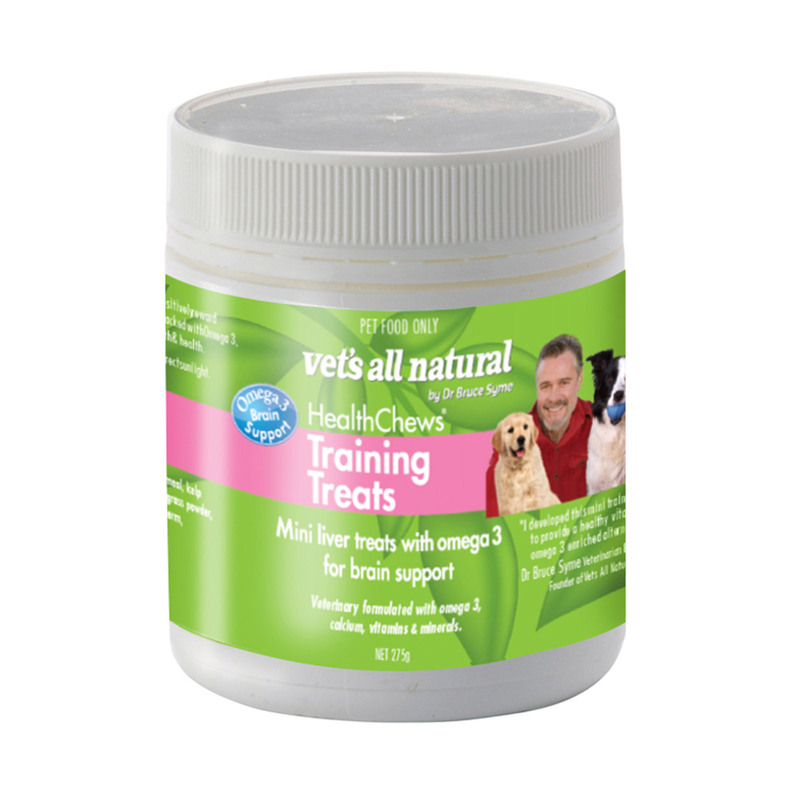 Vet’s All Natural Dog Health Chews Training treats is a potent supplement for dog and puppy overall wellbeing. These training treats contain 500 small liver treats. These health supplements are enriched with omega 3, calcium, vitamins, minerals and antioxidants to support growth and health for dogs. These treats are perfectly sized tasty nutritional training treat to positively reward growing pups and adult dogs. Give directly as a treat or mix it with dog food. Highly efficient health treats for puppies, dogs and senior dogs. Store it below 30°C I n dry place. Liver, dolomite,omega 3,flax seed, prebiotic,kelp granules, lecithin granules,parsley powder, barley grass powder, milk thistle, grape seed, ginger, green tea, wheat germ, vitamin C, garlic powder, colostrum powder, zinc, chelate, boron chelate. Great reward treat for puppies!